Need some new glasses? Clearly Contacts has partnered with Paypal for an awesome promo code! 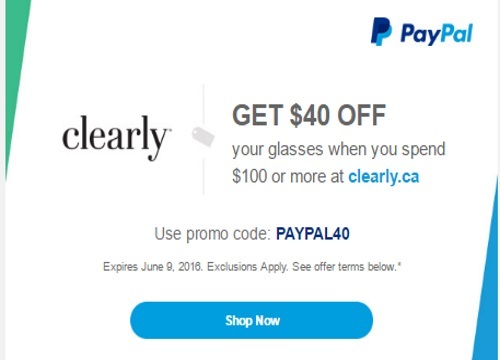 Save $40 off on your glasses when you spend $100 or more! Enter the promo code PAYPAL40 at checkout. Offer is valid until June 9, 2016. Click here to browse Clearly Canada.